Bladder outlet obstruction (BOO) in women is rare with an incidence ranging from 2.7 % to 8.3 %. Presentation is variable but may include both storage and voiding symptoms. Consequently, diagnosis can be challenging and may require pressure-flow studies (PFS), video urodynamics, voiding nomograms, or a combination of these techniques. 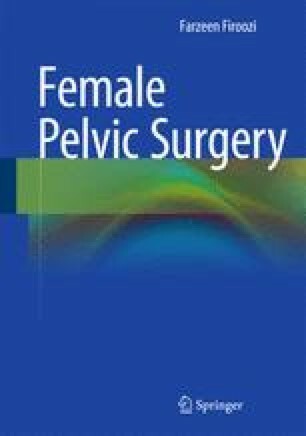 The etiology of female BOO can be anatomic or functional with iatrogenic obstruction following anti-incontinence surgery the most common cause. The two basic approaches used to correct urethral obstruction are sling incision/excision and urethrolysis (retropubic, transvaginal, or suprameatal). Success rates for formal urethrolysis range from 43 % to 94 % and 80 % to 100 % for sling incision. Complications following procedures to relieve obstruction include recurrent stress incontinence and overactive bladder symptoms. Given the complexity of these cases, patients should be closely monitored for symptom resolution.